Oh, snap! Forgot to bring your lunch today? No worries, have a bento! Worked overtime and no time to cook dinner? No worries, have a bento! Had a bad day and didn’t want your lousy cooking to make it worse? No worries, grab a bento! 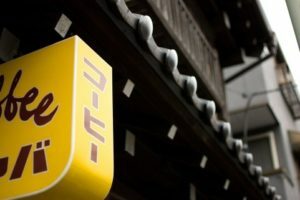 Saw a 50% discount for your favorite bento? Why hesitate? Take it before someone else does! Japanese Bento: What Is It Made Of? Portable. Nutritious. Exquisite. Eye-catching and mouth-watering. Creatively presented and culturally enriched. We give you – The one and the only Bentos of Japan. No exaggeration: they are a tradition, a necessity and a way of enjoying good food that also looks pleasingly appealing and easy to eat on-the-go in a box. As many as there are convenience stores across Japan, Japanese bento boxes also come in all shapes, sizes, prices, and appetites. Be it Seven Eleven, be it Lawson, be it Family Mart, it is more than comfortable to get access to a varied selection of bento boxes for decent prices, diverse types of food. 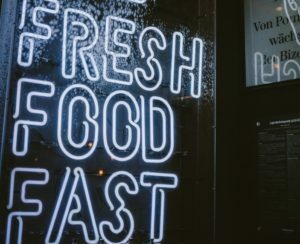 Because of this convenience, bento boxes have gradually made convenience stores a go-to place to grab lunch; you will likely see many office workers rushing into these places to buy their bento boxes for themselves or their coworkers. These seemingly small and standard bento boxes are regarded as the life and soul of many Japanese people. They ingrained in the mind of citizens of Japan and carried as an essential piece of the national culture. For this reason, bento is much more than just a standard lunchbox. But first, what exactly IS a bento? 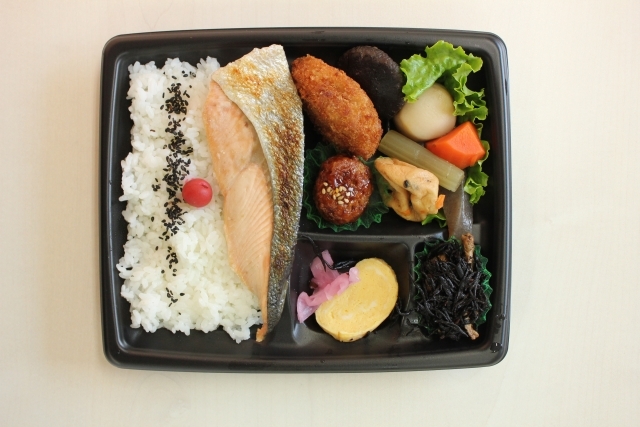 Bento (弁当) is a single-portion take-out or home-packed meal common in Japanese cuisine. 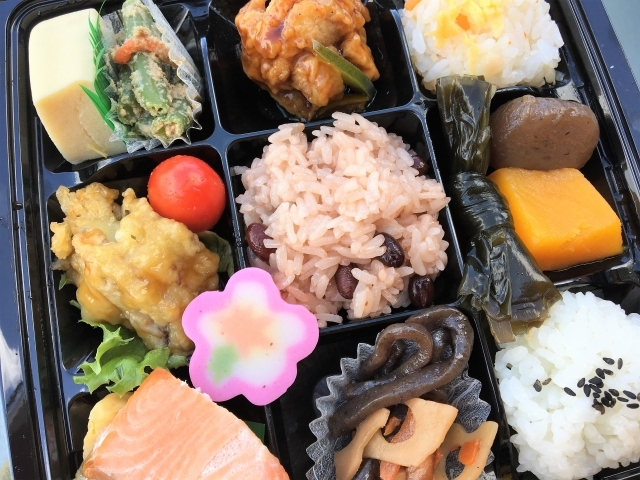 For many foreigners, the word may ring a bell, but you may not know what exactly makes a traditional, commonly-seen bento. You may also wonder what Japanese usually puts in a bento box. 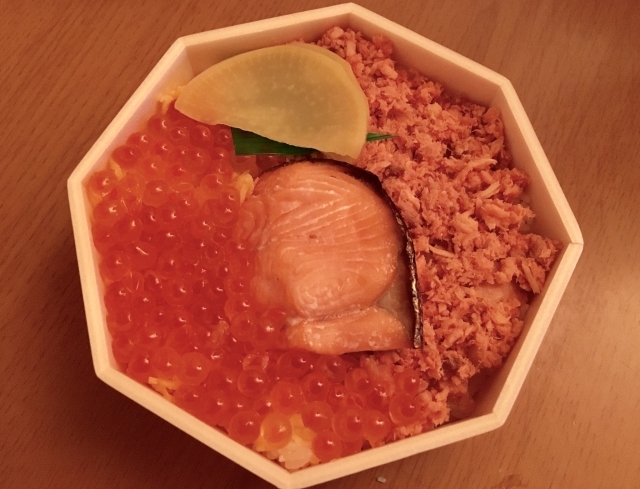 Traditionally, a bento is comprised of 40% starch (for example, rice), 30% protein (for example, fish, meat or eggs), 20% vegetables, and finally some tsukemono (supplementary vegetables such as pickled cucumber) or fruit for desserts. Bento is well-portioned meals, but this should not come as a surprise because of the amount of weight the Japanese put on a balanced meal. Because of that, bento boxes are made to ensure a full meal, balanced and delicious. Let’s have a closer look! Nimono – Slowly simmered fish, meat, or vegetables reminiscent of home cooking. Have never seen a bento being sold inside a typical train station in Tokyo before? It is because you are looking at the wrong place! If you ride the bullet train in Japan, you will notice a train bento menu for the area you are heading for. 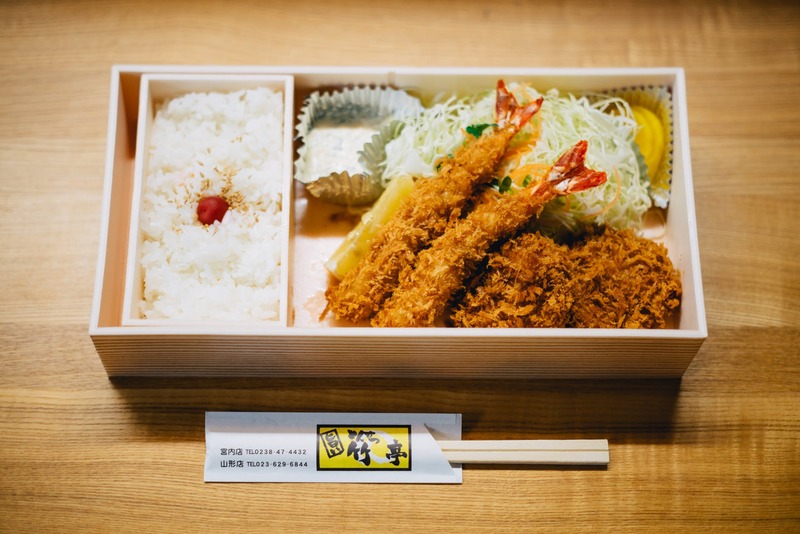 Notably, the menus are renewed every day; there are thousands of train bento varieties around the country. How exciting is that? 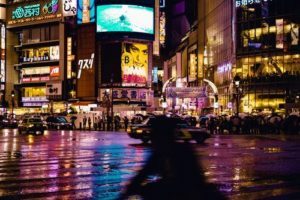 Better plan a domestic trip around Japan, pack your bag, discover the remote stations and try these Eki-ben out! The Eki-ben or “bento station” is the meal trays available inside train stations and even on trains in Japan and Taiwan. 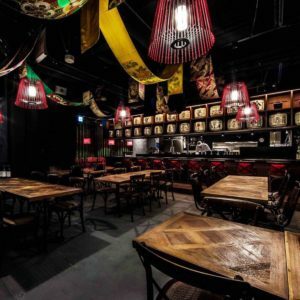 You may think there is nothing exceptional, but yet they are so popular and also sought after because many cities offer preparations based on local specialties. Here are the top 3 Eki-ben we highly suggest you try them out! Now, this is “luxury in a lunchbox”! 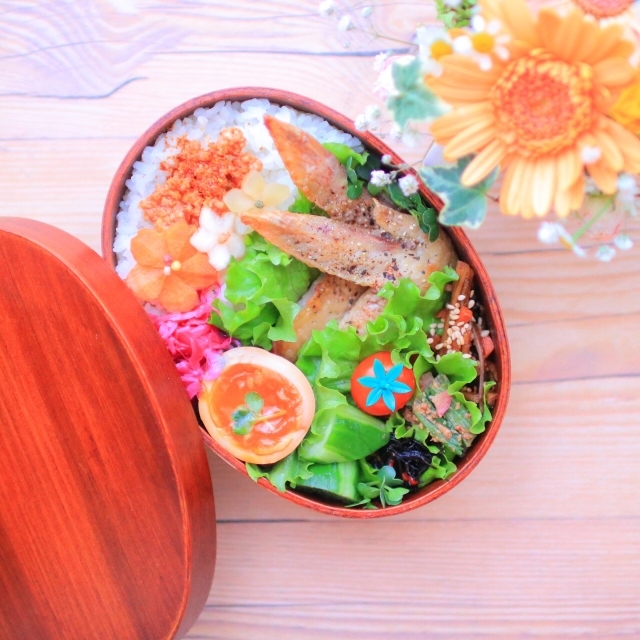 Opening the bento box, you will be amazed at how the sea’s best jewels are placed, how each ingredient shines through in a small lunchbox – resembling island countries surrounded by water like Japan. Interestingly, the squid was stuffed with rice before cooking, so a plump “Ikameshi” (squid cooked with rice) is also included. There is no doubt – this Eki-ben is a feast in a bowl. A small pot of seemingly under-extraordinary is a porcelain bowl with rice, meat, and vegetable filled to the top. The container is so well-crafted that you can reuse it as your tableware of accessory dish. 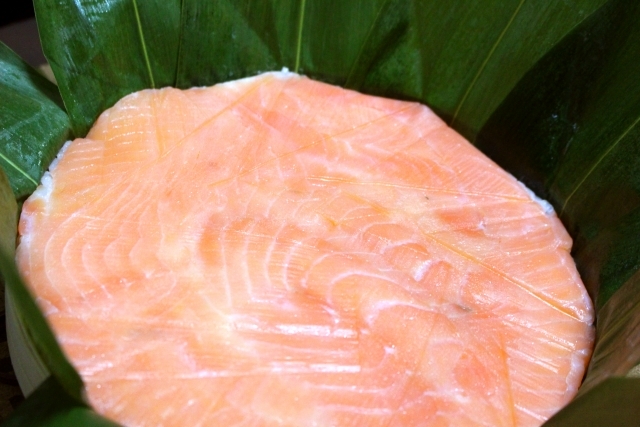 If you are looking for a Japan’s delicacy in a lunchbox, Trout Sushi Eki-ben is a must-buy! Do not be fooled by the simple outer, because you will be amazed by what is inside the packed green leaves. Opening the bento, a beautiful glistening red of the trout will dazzle you and will immediately arouse your sense of taste. Although the making procedure is kept simple – the sushi is made of trout and vinegared rice, wrapped in Japanese bamboo leaves, the flavor is truly extraordinary and refreshing. This Eki-ben is also packed with a safe knife to help you cut it into bite-sized pieces and share with everyone (but you probably won’t want to share!). First, the Japanese always have a picnic for hanami and preparing Koraku Bento (or Hanami bento) is a must. Nowadays, they can be specially customized and are widely sold at local supermarkets during the cherry blossom season. What makes this bento more special is their size compared to regular convenience store-sold bento boxes. Why? 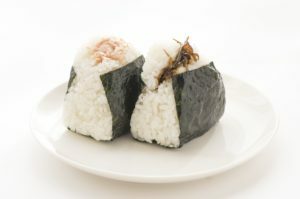 Because it is more suitable for a standard picnic in Japan, where many people gather together and share the bento boxes. 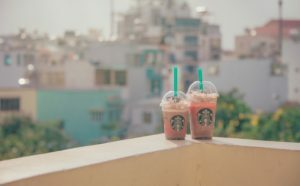 Remember, “sharing is caring” in Japan! Yes! A box with full-packed protein dishes. The typical meat dishes you can easily spot in any Koraku bento is karaage (boneless, bite-sized Japanese fried chicken), takoyaki (grilled octopus balls), and ebi-fry (breaded fried shrimp), which can be all home-made and easily packed for a hanami picnic. Nothing screams a healthy meal other than veggies! 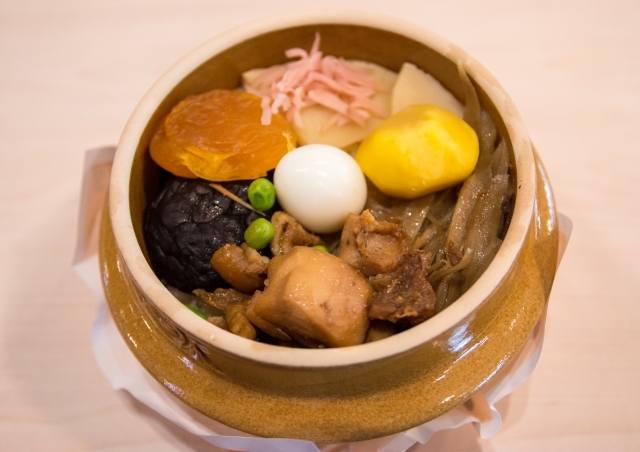 In Japan, meat dishes are accompanied by a variety of veggie dishes such as salads and pickled vegetables (tsukemono). Typical Japanese salads include Kinpira gobo (braised carrot and burdock root salad), Shiro-ae (blanched vegetables and mashed tofu salad), potato salad, and salads with mixed hijiki seaweed and lotus root. Overwhelmed? Don’t be, and don’t worry! 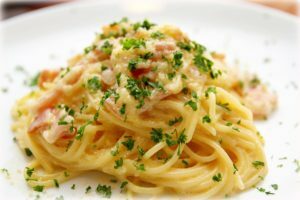 Each of them makes a great side dish, and you will see how well it can be savored with the main dishes. Is there any better way to finish the meal with a traditional Japanese sweet? Wagashi never disappoints! 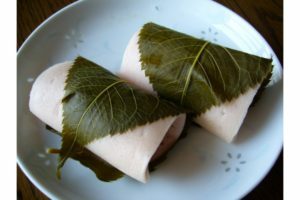 It is the popular sakura mochi (桜餅) – a rice cake filled red bean paste and wrapped in a salted cherry blossom leaf. Another choice for those without a sweet tooth is Hanami Dango (花見団子) – another type of wagashi with three small dumplings of different colors (usually green, white and pink – representing the colors of spring) served on a bamboo skewer. 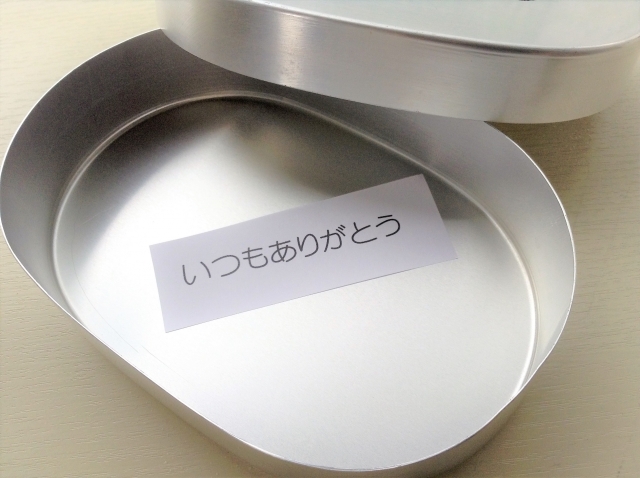 What speaks “love” better than Aisai bento (愛妻弁当) – a bento made by loving wives? All Japanese women know the secret to their man’s heart – and it’s through his stomach. Typically, it is usually the mother who prepare these Aisai Ben for the husband and the children to be taken to work or school. 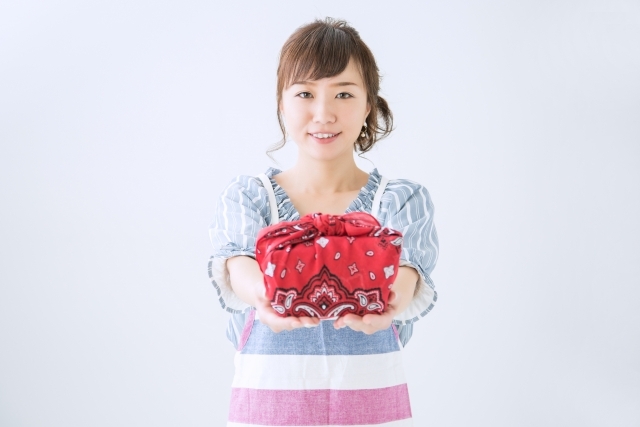 However, nowadays, these special bento boxes can also be handmade by young women in relationships to express their care and affectionate feeling towards their significant others. In total contrast to convenience store-sold bento boxes, these Aisai Bento are visually eye-catching, nutritiously balanced and most importantly, deliver a love message (either edible or not). And there is Aisai Ben (愛妻弁当 – bento of love), and Shikaeshi Ben (仕返し弁当 – bento of revenge). You know you have done something wrong if you get one of these Shikaeshi bento boxes. However, don’t get discouraged! They are as creative as they are spiteful! 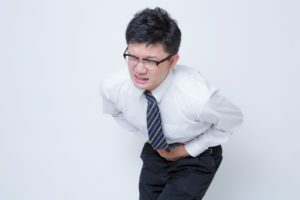 The revenge lunchbox is a passive yet effective way a Japanese wife can express her anger towards her husband by giving him an unpleasant surprise during his lunch break. Curious how a Japanese women’s anger would taste like if it is a bento box? It would look like this: A box with nothing but corn, or a meal which is entirely inedible, such as uncooked rice and a raw egg. A curse written with nori leaves, sausage representing a cut finger or the bento as a whole just taste disgusting. Speaking of Japan, we can’t miss the manga or anime characters, of course. Perhaps the most internationally well-known image of the Japanese bento culture is the Chara-ben (Character Bento Box) – the type of bento with cute designs and intricately crafted cute details. 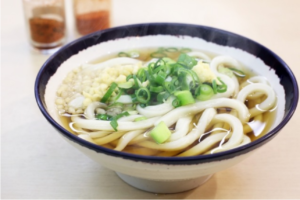 In Japan, it is said you eat with your eyes first, and your mouth later, meaning that the food you eat should look as good as it tastes, and that should be the best way to savor and appreciate your meal. This way of thinking has sparked up a craze, even a competition among the mothers to make the cutest bento boxes for their children. But Chara-ben has more meaning to it than just cute designs and colorful food. These bento boxes consist of an elaborate bento where different ingredients are used to replicate certain people, characters or animals. The design ideas are limitless: Hello Kitty, Pokemon, Prime Minister Shinzo Abe, etc. Any animals or characters you can think of, name it. The Japanese mothers will have it done! 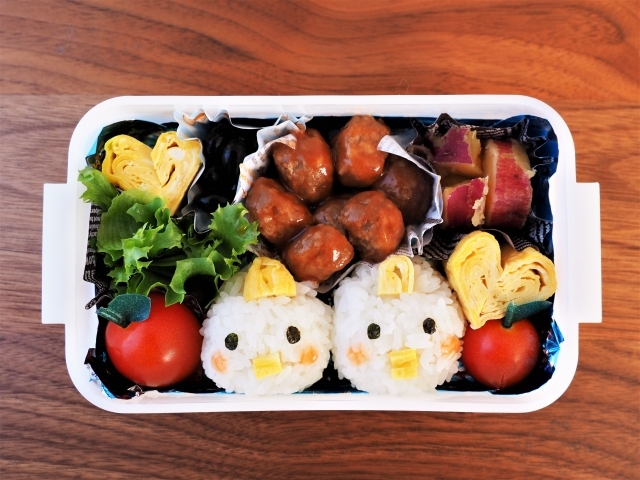 The original purpose of this type of bento was to provide small children with amusing visuals to help them enjoy the food more. Nowadays, strangely, more emphasis and even more pressure are being put on making these Chara-ben because the consequence of presenting a lackluster lunch box goes a bit beyond the disappointing their child, but rather a reflection of a mother’s love and even a representation of the mother herself. In other words, fewer visuals equal less effort and less love. Anything less, unfortunately, is just an admittance of poor parenting to others. Indeed, preparing bento for their children is considered a severe business for Japanese women as a role, a responsibility of a good mother. They are willing to spend hours browsing through cooking magazines and shopping for the tools needed to create the best Chara-ben for their children. After all, in Japanese society, where conformity and rules are utmost important, it is vital to comply with the ritual of bento. What did you think of these 5 Different Types of Japanese Bento? 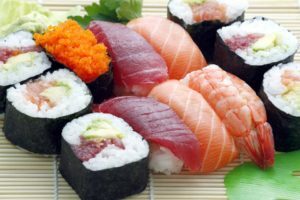 For many of us, lunch is just another meal of the day, but take a look at the Japanese and the amount of effort they put on perfecting each meal. For the Japanese, eating is a way of indulging, and the food is also a mean of expressing. The bento boxes represent the human of Japan, and they present themselves through these small bento boxes. What about you? What would you put inside your own Bento box? How would you present yourself through this small 弁当?